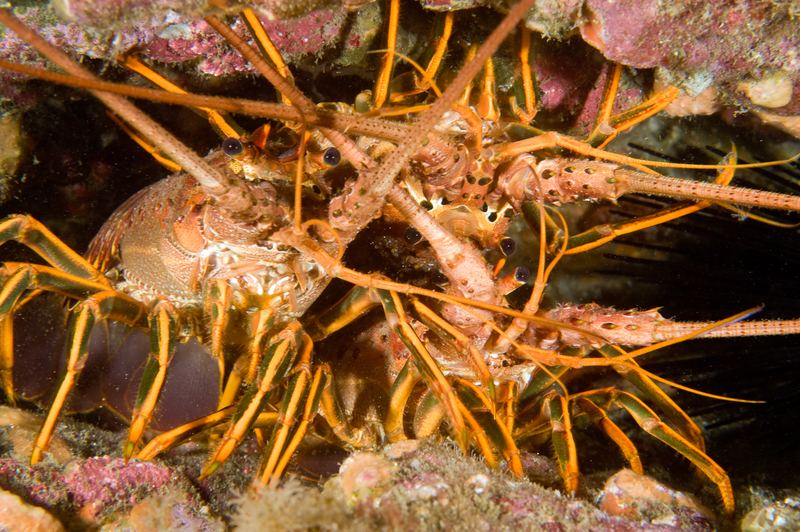 For those of us fortunate enough to call Southern California home, the Channel Islands offer world-class diving in our own backyard. 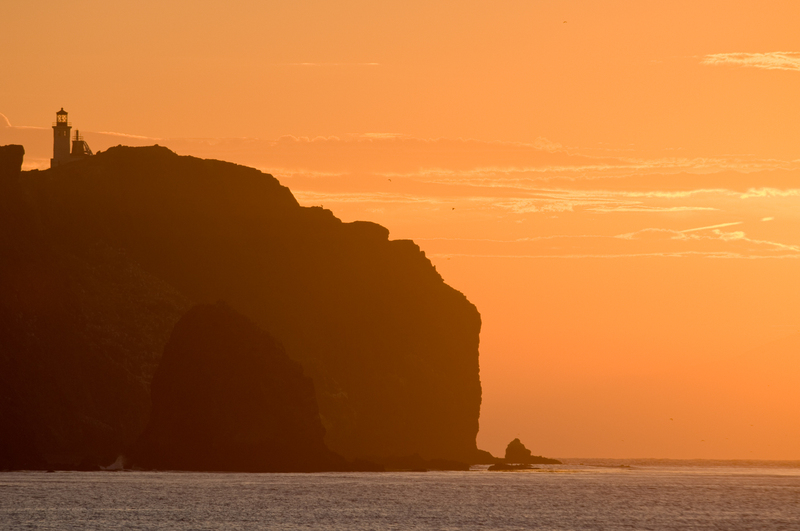 Comprised of eight islands stretching over 160 miles of Pacific Ocean, the Channel Islands boast over 2,000 terrestrial plants and animals, including 150 endemic species, rivaling the Galapagos for diversity. 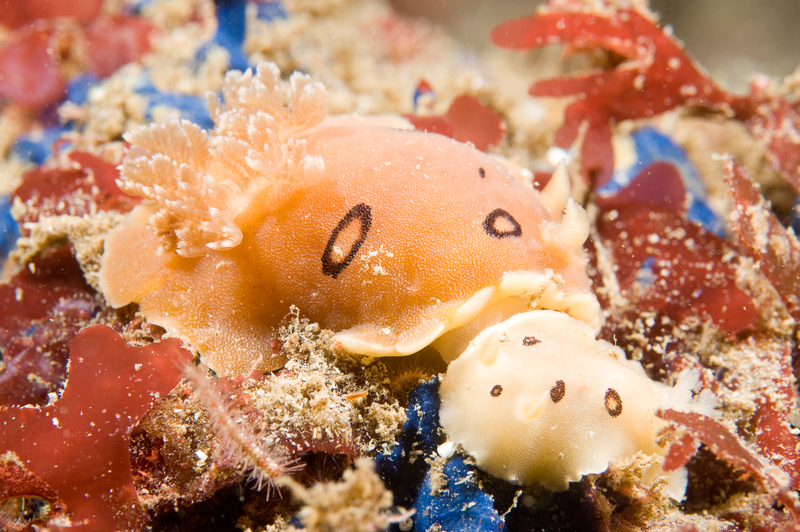 My first underwater photos were taken at the Channel Islands, and I have returned every year since. 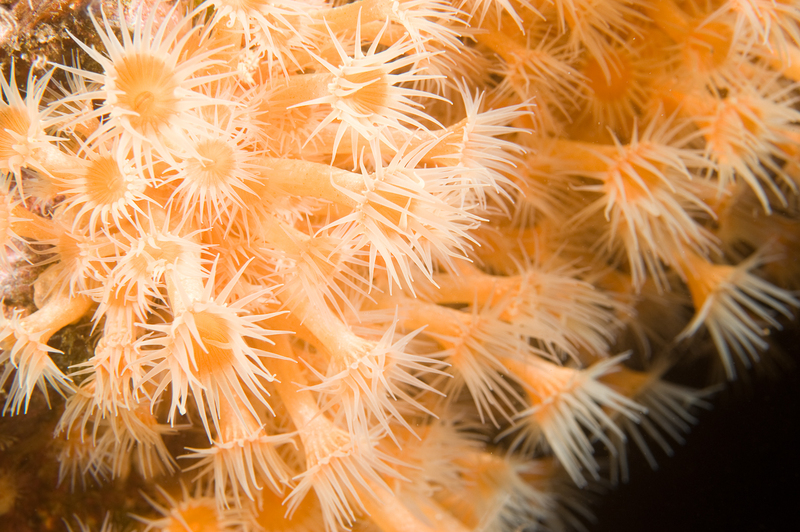 On my most recent trip, the liveaboard spent two days anchored at one dive site, in which time, none of the 20 photographers and videographers onboard ran out of subjects to shoot. We were privileged to have harbor seals and California sea lions nearby, a vertical wall of rocky reef full of macro subjects, bat rays in the sand below the boat, and schools of Jack mackerel, opaleye and blacksmith fish, along with soupfin and leopard sharks swimming in the shallow waters of the giant kelp forest. On one particular night dive, I discovered an elusive two-spot octopus moving across my fin, as I knelt in the sand. Octopuses are not often seen during the day, preferring to stay in their den or else hidden in plain sight, camouflaged against the rocky reef. With no room to get down on its level, I was left to hold my camera just above the sand, shooting blindly as it moved away. Days later, when my film was developed, I was rewarded with one of my more unforgettable octopus images. Spectacular to see underwater, giant sea bass are the largest species of fish living in the kelp forest. 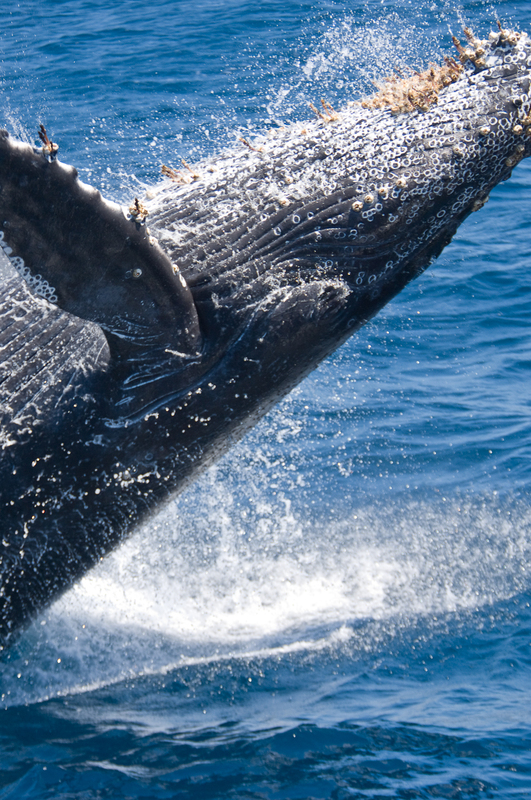 They can grow to be over seven feet in length and weigh upwards of 700 pounds. 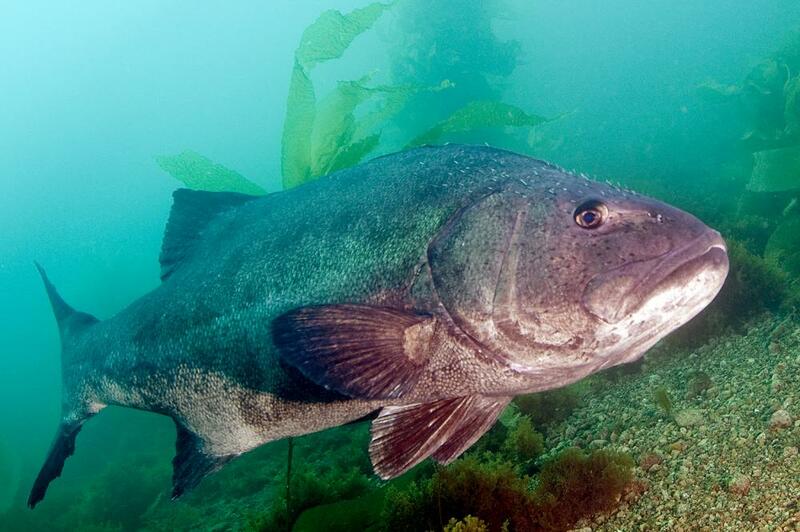 Due to their dwindling numbers from overfishing, giant sea bass have been protected in California waters since 1982. While still listed as a critically endangered species, giant sea bass are slowly making a come-back. Swimming alongside one of these behemoths is truly an amazing experience. 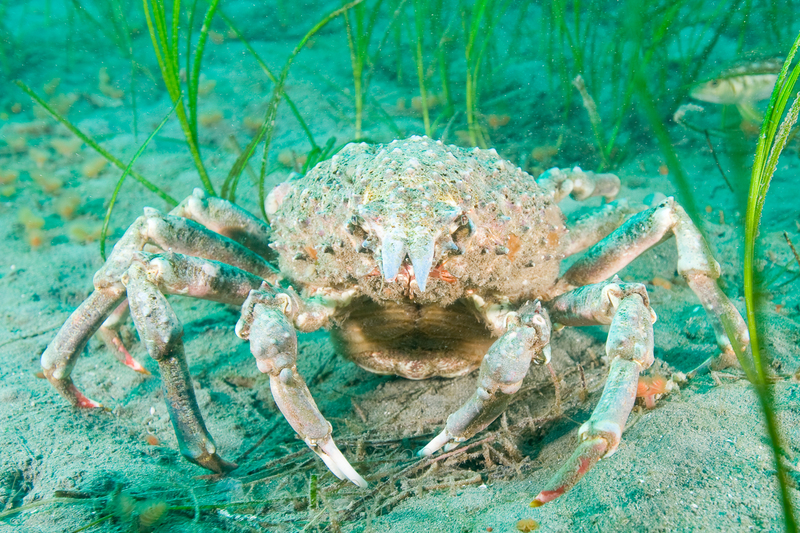 The Channel Islands support numerous shark and ray species. I have had good luck photographing soupfin and leopard sharks at San Clemente Island, horn sharks at Catalina and bat rays at most islands. It is also possible to see blue sharks, mako sharks, angel sharks, swell sharks, stingrays, shovelnose guitarfish and electric rays to name a few. In the 60’s and 70’s, basking sharks were common in the Santa Barbara Channel, but by now they have all but disappeared. 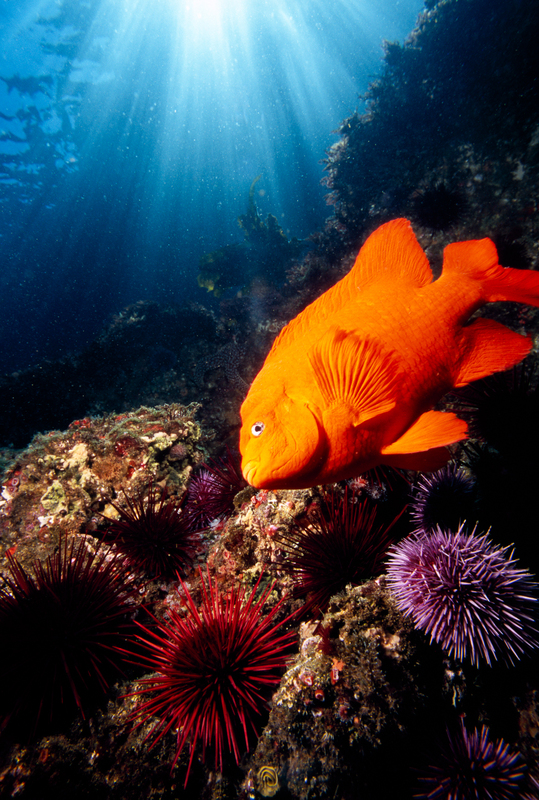 No visit to the Channel Islands is complete without encountering the charismatic and vibrant garibaldi, California’s official state salt water marine fish. 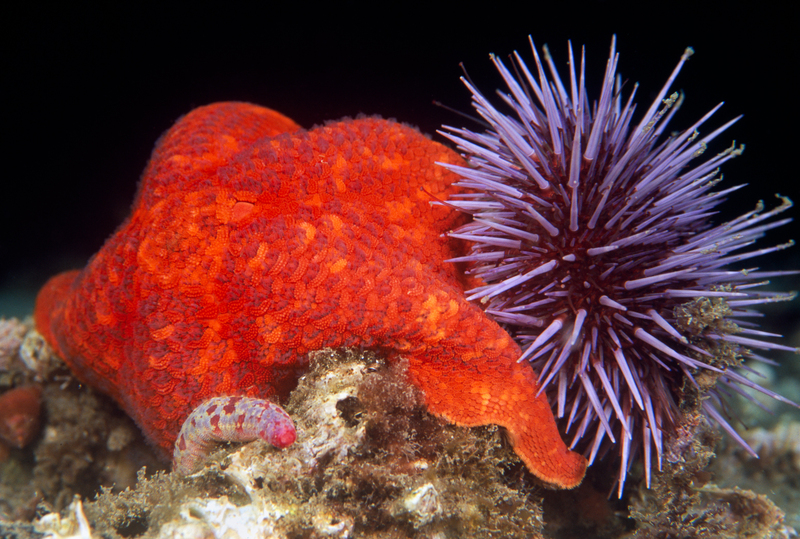 They are found only in the Eastern Pacific Ocean from Monterey Bay down to Baja and are abundant at the Channel Islands. Garibaldi are the largest member of the damselfish family, growing up to 12 inches in length and are a striking orange in color. A juvenile Garibaldi’s color is slightly less vibrant, and it has luminous blue spots that disappear by the time it reaches adulthood. 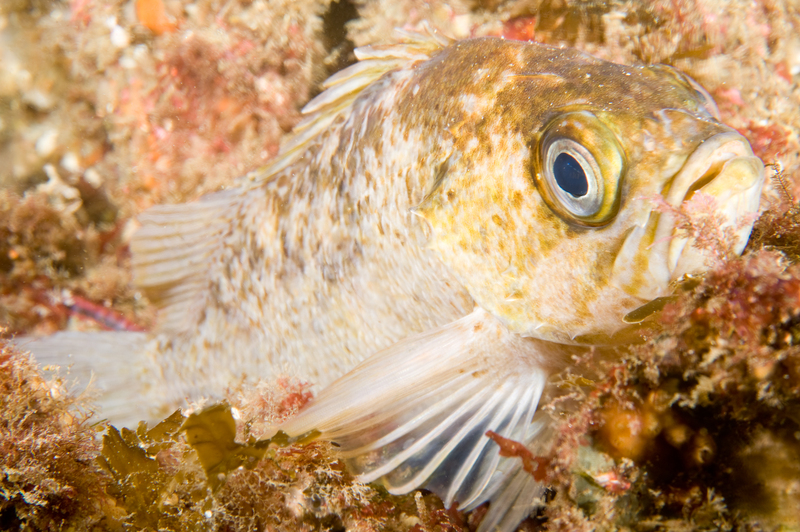 In summer, male Garibaldi construct circular nests on flat sections of rocky reef and then guard their nests after the female deposits her eggs. They are incredibly territorial during this time period and will attack much larger fish and even humans to protect their developing young.